These posts will provide pre-suit collection information and strategies for Florida debt collection and recovery. Sending a demand letter for payment of past due account receivable is the first step in effectively managing your company’s cash flow. A demand letter puts your customer on notice that your company is ready to take collection of the past due account to the next level. Our commercial debt collection law firm has established an attorney demand letter program. An attorney demand letter for payment of money due to your company indicates to your customer that you are willing to start a legal proceeding to collect on the account. 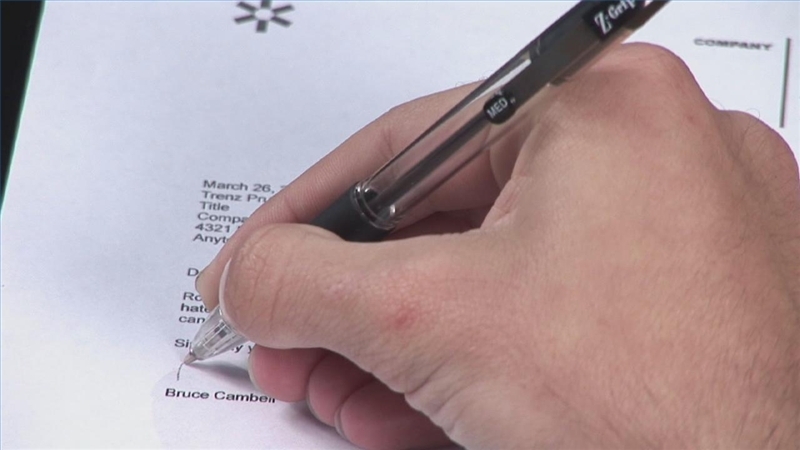 The difference between a demand letter from a collection attorney rather than a demand letter from a commercial collection agency is obvious. Collection agencies are not licensed to practice law. Most debtors know that and will ignore demand letters from a collection agency. A demand letter from our collection lawyers will be firm and the letter for payment will make it clear what the consequences may be if the letter for payment does not result in your customer paying you. Our collection law firm also has begun to offer flat fee pricing for the demand letters for payment. Typical collection agencies charge a contingent fee upon collection. Our flat fee debt collection demand letters are offered at a low price with no contingent fee if the letter results in the customer paying you. Of course, if the demand letter does not secure payment of your past due account, our law firm can then assist you with moving your collection matter into the litigation arena. No matter where your customer is located, with our demand letter for payment and/or litigation services, we can assist your company collect on past due account receivable. Sending a demand letter for payment when trying to collect account receivable puts your client on notice that your company is preparing to send the account to a third party to collect if payment arrangements are not made. We have written about the differences between commercial collection agencies and commercial debt collection law firms. Creditors that use a collection agency end up paying higher contingent fees upon collection of the account when the collection agency sends the account to a collection attorney when the collection agency cannot collect on the debt without litigation. Collection agencies are not licensed to practice law. The Gebeloff Law Group has started an attorney demand letter program for creditors seeking to recover past due collection accounts. The attorney demand letter for payment advises your customer that this is their last attempt to make payment arrangements before your company may decide to pursue legal action to collect on the debt. The demand letter for payment also serves a purpose to verify that the customer still has an active mailing address so that in the event litigation is necessary to collect on the debt, the sheriff will be able to serve a summons and complaint. Our law firm offers creditors a flat rate for sending a demand letter for payment. The demand for payment instructs your customer to make payment arrangements directly with your company. By offering a flat fee, our clients may save money because they will not have to pay a commercial collection agency a contingent fee which usually ranges between twenty and thirty-five percent. Many creditors look to our law firm to provide complete debt collection services. Our demand letter for payment is just one tool for debt collection that our law firm provides. We invite companies to call our firm and see if sending an attorney demand letter for payment of past due accounts is right for their company. If the attorney demand letter for payment is not effective alternative collection tactics can be explored. Collection agencies typically have legal forwarding departments for debt collection accounts that the collection agency was unable to collect. The collection agency maintains a network of debt collection attorneys that are retained by the collection agency to file lawsuits or send attorney demand letters demanding payment for money owed. Once collection agencies forward an account to a collection lawyer the collection agency must charge a higher contingent fee upon collection. 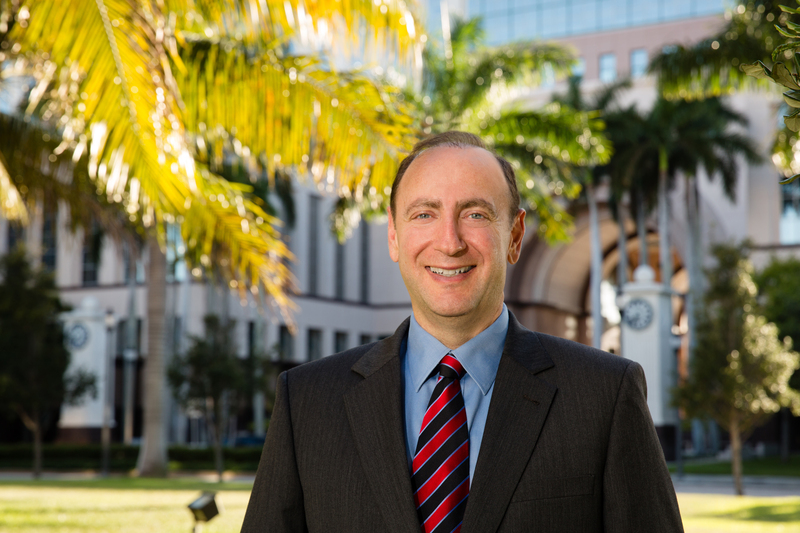 The Gebeloff Law Group has created a debt recovery program that could save companies money. AttorneyDemandLetters.com was designed to allow a credit manager to put the power of their final demand for payment with a debt collection attorney for a low flat fee. There is also an option to have a debt collection lawyer make a phone call to the debtor to make final demand for payment of your company’s money. AttorneyDemandLetters.com allows clients to test the temperature of their chances for collection of past due accounts without having to pay a collection agency a contingent collection fee. Our attorneys will draft a demand letter for payment. The chances that a debtor will respond to an attorney demand letter for payment rather than a letter from a collection agency are obvious. The demand letter from an attorney stresses the urgency that your customer make immediate arrangements for payment with your company. Of course, our debt collection law firm is able to provide full debt collection litigation services in the event the debtor does not respond favorably to the attorney demand letter for payment of the money due to your company. 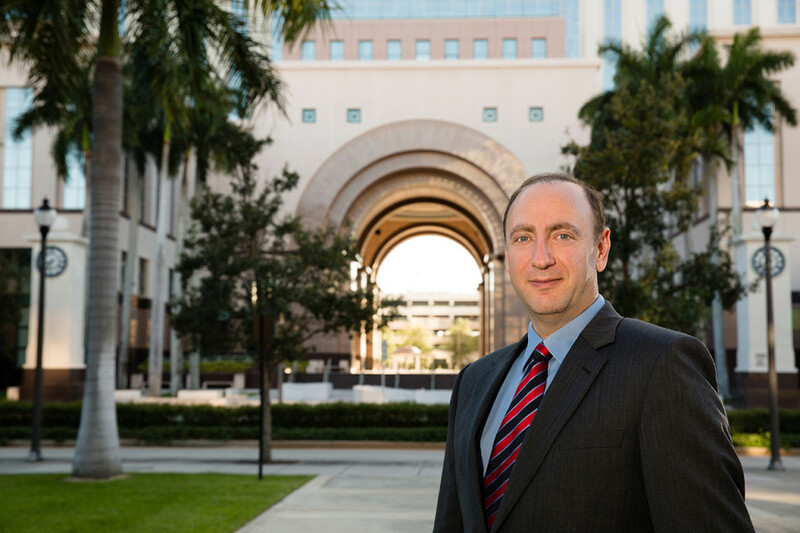 The Gebeloff Law Group would be happy to discuss all of your debt collection needs. Together we can devise a debt collection strategy that is just right for your company’s debt collection needs. For most small businesses, having to engage in collecting past due accounts becomes frustrating. For small business owners cash flow is crucial to keeping the lights on and the business up and running. Having to take the time and resources to attempt to collect past due accounts internally takes away from the time the business should be focusing on their core business. There are commercial collection agencies to consider. But, perhaps a better alternative is utilizing debt collection law firms who focus their practice on representing business that are owed money. We have talked in past blogs about the limitations of using a collection agency to collect your company’s money. A collection agency cannot hold themselves out as a debt collection law firm nor can they legally practice debt collection law. Collection agencies send a series of collection letters and then attempt to collect past due accounts by making debt collection telephone calls demanding payment. Collection agencies also typically will charge a contingent collection fee between 25% to 40%. If a lawsuit is required to sue a debtor for your money, the agencies typically will raise the contingent fee even higher. Our commercial debt collection law firm has designed a new program to offer credit managers and small business owners an alternative to paying a collection agency high contingent collection fees. We have established www.AttorneyDemandLetters.com . With this unique debt collection service, a flat fee is offered. We will send out an attorney demand letter for payment of your money and also offer an option for attorney demand telephone calls. The concept is to “Put the Power of an Attorney Behind Your Demand for Payment.” It is clear that when your customer sees demand for payment coming from a debt collection law firm rather than a collection agency, your customer will now that their time to contact your company to make payment arrangements is running short. Please visit our website for further information on how you can use the power of a debt collection attorney to help you recover your money. We will show you why it may no longer be necessary to consider using commercial collection agencies to collect past due accounts. A collection agency is not licensed to practice debt collection law. Collection agencies set up departments in their collection agency to forward accounts for collection of past due account receivables to commercial collection attorneys. Our debt collection firm has established a division that gives credit managers the opportunity to forego using a collection agency and send their accounts for collection directly to our commercial debt collection law firm. AttorneyDemandLetters.com was established to offer credit managers a low cost solution to paying high collection agency contingent fees. Just like collection agencies our collection lawyers will draft a demand letter for payment. In addition, we offer an attorney telephone demand service to let your customers know that your company is serious about collection past due accounts that are due. Collection agencies typicaly charge between thirty – forty percentage contingency fees. With our flat fee service, you may save thousands of dollars using this debt collection service instead of utilizing a collection agency. Once your customer sees that you have retained a law firm to assist your company collect past due debt, the debtor will know that if arrangements are not made with your company for payment, litigation may be imminent. Today, most debtors recognize that a collection agency cannot bring suit. Collection agencies rely on commercial collection attorneys to bring suit on behalf of their collection agency clients. The collection agency in effect is acting as a middleman. As a result, you end up paying a higher contingent fee. By cutting out the collection agency you are eliminating the middle man and will save on contingency fees. Florida collection agencies have been contacting our debt collection law firm more frequently because it has been coming more difficult for their Florida collection agency to collect on past due accounts. The difficulty for Florida collection agencies is that the collection agency is limited to making collection calls and sending out demand letters for payment. 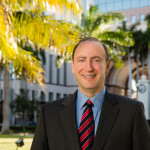 This is still a very tough economy and Florida collection agencies do not have the same effectiveness as a Florida collection attorney filing a lawsuit to collect money. Our Florida collection lawyers work with Florida collection agencies when the Florida collection agency after sending debt collection letters and after making telephone collection calls, has been unable to effectuate collection of their clients account receivable. Our debt collection attorneys look at a variety of credit and collection strategies to devise a collection strategy that Florida collection agencies cannot implement. Florida collection agencies are not license to practice law. Because of that, the collection agency has to refer the collection case to our Florida collection attorney and charge you a higher contingency fee. Recognizing that creditors are paying high contingency fees to Florida collection agencies, our debt recovery law firm has implemented a low flat fee attorney demand letter service. Just as Florida collection agencies send demand letters for payment, our law firm will not charge a contingent fee like a Florida collection agency. Our collection attorneys also offer a flat fee telephone demand service. We invite you to visit our web site to learn more about how we can save your company money by choosing our attorney demand letter service to attempt collection of your companies past due accounts rather than using a Florida commercial collection agency. We also offer companies access to our free EBook. We are always available to answer your debt collection and debt recovery questions. Collection agencies have been referring their collection agency accounts to our commercial collection law firm early in their debt collection process. In previous blog posts we have discussed the difference between a collection agency and a collection lawyer. There has been a lot in the news about collection agencies, With the economy slowly recovering businesses are starting to extend credit again. The result is that there are more collection accounts that may need to the assistance of a third party debt collector. The client needs to decide whether to send the account to a commercial collection agency or a collection attorney. When the client has many small balance accounts that are past due, sending those collection accounts to a collection agency may make sense. A commercial collection agency is not a collection attorney and not license to practice debt collection law. Collection agencies have systems in place for handling huge volumes of claims and can send multiple demand letters for payment and make many debt collection phone calls. However, once a matter is not able to be collected a collection agency must send the account to a collection law firm to pursue further debt collection activities. Our law firm has launched a new service wherein; a creditor can put the power of an attorney demand letter behind their demand for payment. Most people who owe money would take the threat of legal action from a lawyer letter demanding payment over simply receiving a collection letter from a commercial collection agency. Our attorney demand letter for payment service also offers an avenue where collection calls are made from our collection attorneys and trained collection staff. We encourage you to visit our web site to learn more about our attorney demand letter service for debt collection. You may find this service a better and less expensive alternative to placing your collection accounts with a collection agency. Staying on top of your company’s account receivables is a top priority for most small businesses to ensure there is cash flow to keep your business up and running. Being proactive in collecting past due accounts is important. We recommend before using a collection agency or a series of commercial collection agencies that your company establish internal credit and collection procedures. Simply maintaining a dialogue with your customer will give you a good indication if your company is going to be paid, or if ultimately you will need to refer the past due account to a collection agency. Remember collection agencies are not licensed to practice law and must send accounts to collection attorneys if an account has to be litigated. 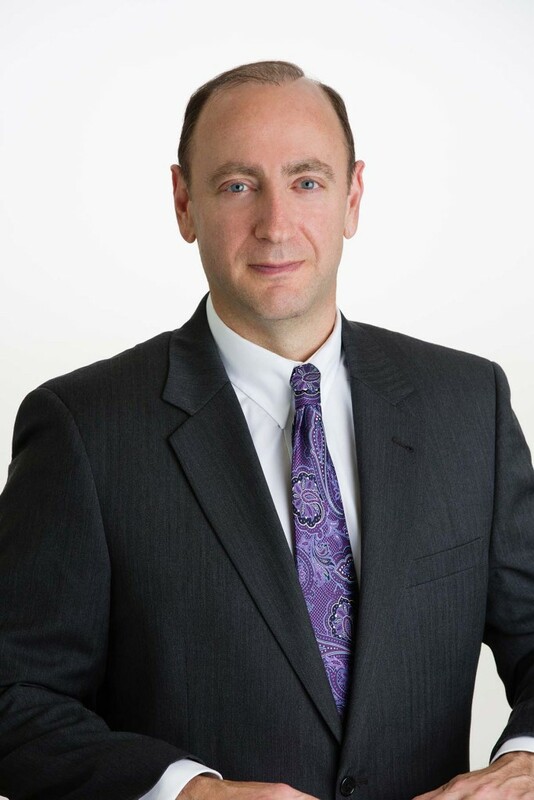 The Gebeloff Law Group, a Commercial Collection Law Firm, has started a new program where a company can try sending an attorney demand letter seeking payment of past due debt before committing to paying a collection agency a contingent fee. Collection agencies typically charge twenty-five percent (25%) prior to litigation by a collection lawyer and then twenty-five to forty percent ( 25-40%) if the case is referred to a collection attorney. AttorneyDemandLetters.com was developed to allow companies to attempt to collect their debt for a reasonable flat fee before committing to paying fees that are contingent upon collection. Sometimes a demand letter from a collection attorney is all that is needed before your customer is motivated to pay its past due receivable. For more information on why using an attorney demand letter program instead of using collection agencies to collect past due accounts, visit our web site to find out more. Using a commercial collection agency has its purpose but, when significant money can be saved, a creditor should feel free to contact us to see how we may be able to help you collect your past due accounts, without having to pay contingent fees to a collection agency. Keeping on top of your company’s account receivables is vital to maintain cash flow for most small businesses today. 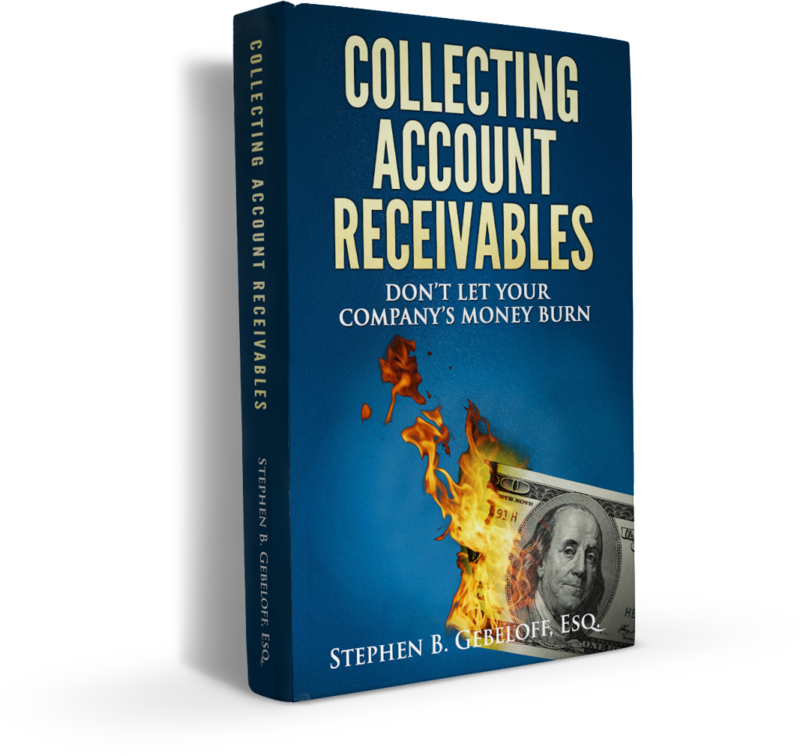 The Gebeloff Law Group has created an e-book to help companies devise and implement a debt collection strategy. 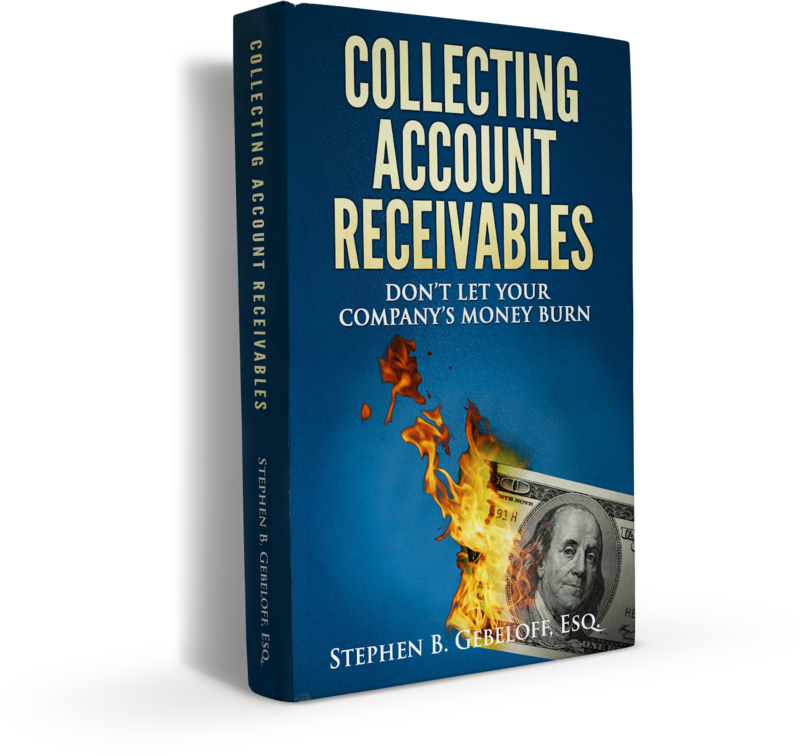 The title of the book is “ Collecting Account Receivables/ Don’t Let Your Company’s Money Burn.” We are offering a free copy of this book. We welcome you to click the link below to get a copy of the book. We are sure that there will be many useful strategies from setting up a credit application to choosing between a commercial debt collection agency or hiring a collection attorney to collect on past due debt. Our commercial collection attorneys devise unique strategies to help clients stay on top of their past due accounts. What our debt collection law firm can offer clients is the ability to look beyond the initial demand for payment. Our collection lawyers can pursue alternative theories of liability when pursuing a debt collection account. Our debt recovery firm will look to see if there has been any apparent fraud. If so, we will discuss with our collection clients the possibility of pursuing officers and directors of the debtor company and any successor company that may have been recently established in an apparent attempt to defraud creditors. We get many referrals from other law firms and collection agencies when they have been able to collect on a past due account. Commercial collection agencies are not licensed to practice law. A collection agency must refer the case to a collection attorney to proceed once the collection agency has exhausted its debt collection efforts. We invite creditors as well as collection agencies to call us for their debt collection needs. We would be happy to assist any collection agency prior to referring a case to our commercial collection law firm to analyze debtor liability and whether the collection case warrants referral to a collection attorney to litigate.